1. We would like you to arrive between 7:30 am and 7:45 am. The parade will start at 9:00am. 2. The parade will start at the intersection of Comte de Grasse St. and Water St (red line in picture). 3. 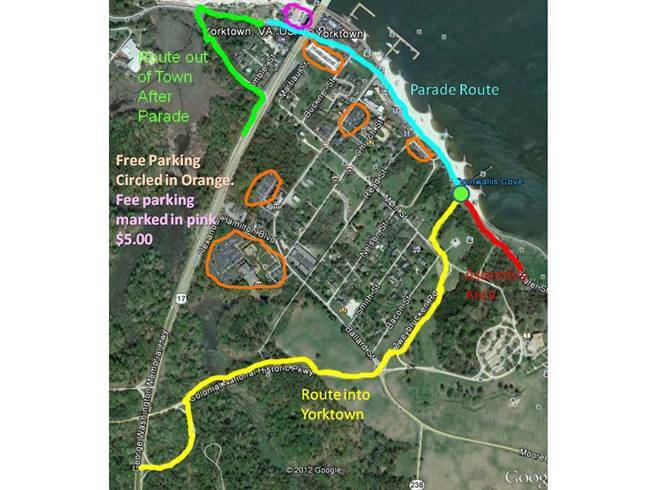 Parade assembly Drop off location for parade participants (green dot in picture). 4. Only vehicles with assembly area passes will be allowed in assembly area. 5. 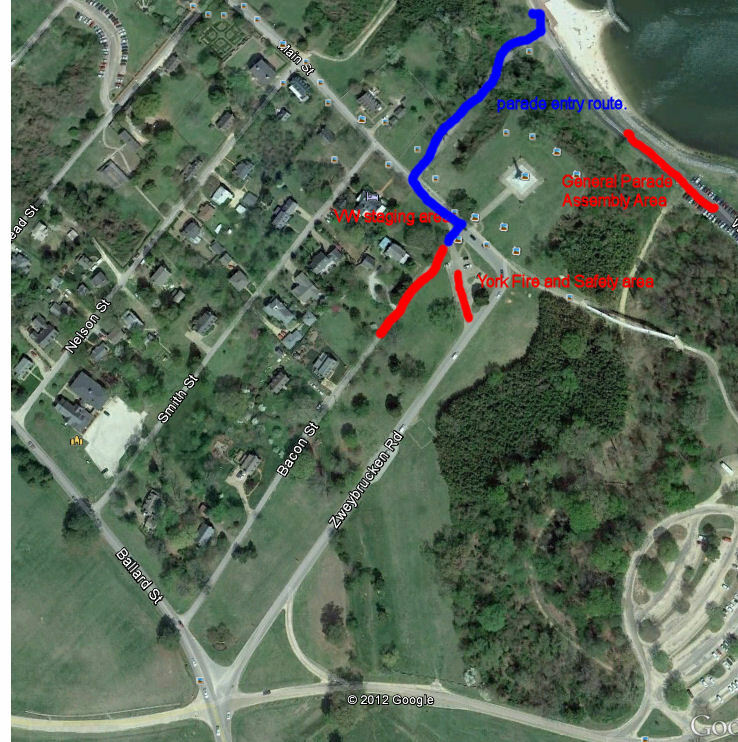 All other vehicles should park in one of the parking lots circle in the picture. 6. When you arrive, please check in at the parade head quarters located under the canopy. 7. 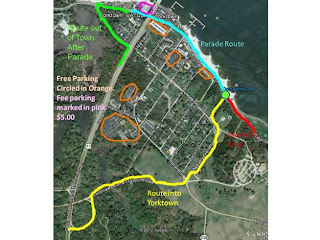 At the conclusion of the parade, all vehicles must exit the town. 8. 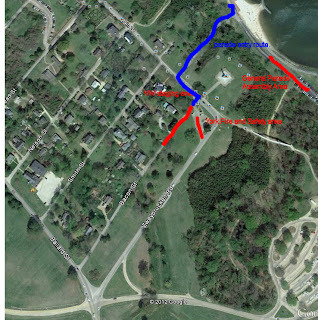 You will be allowed to reenter the town via the Colonial National Historic Pkwy or any other road farther south of the town. 9. All vehicles left in the Parade Assembly Area must leave by 11:00 am. 10. Please bring water and stay hydrated.